Here's what he should do. Flickr/David Holt London. Some rights reserved. Jeremy Corbyn is a man with a conscience. He is a committed anti-imperialist, and has made a regular habit of criticising the moral hypocrisies which so often characterise British foreign policy. However, this means he will be painted by the Conservatives and right-wing media as someone who is ‘weak’, who will ‘surrender’ to autocrats like Putin, and someone whose only interest in human rights is as a means to bash the West. This is not true, but perceptions can be damaging. Here’s what he should do. Corbyn has been Vice-Chair of the All Party Parliamentary Group on Human Rights (PHRG) since the 90s (though will now have to give up all his roles with parliamentary APPGs). This group exists to encourage parliamentarians, who spend most of their time pleasing their voters so they can get re-elected, to care about the human rights of people in other countries. He should use this structure to encourage politicians, especially from his Labour party, to make a serious commitment to raising the profile of the many and serious human rights situations around the world, whether they are in countries which are allied to the UK or not. Corbyn has in the past criticised the Iranian regime’s human rights problems, and he should continue to do so alongside a criticism of Britain’s ally Saudi Arabia. Both states are theocratic autocracies who are attempting to spread their influence to other countries in the region and the proxy wars taking place in Syria and Yemen are largely fuelled by their rivalry. Corbyn made a clever move in challenging David Cameron to speak out against the Saudis’ planned execution of a political prisoner, but he could go further and advocate that Britain should follow the lead of Sweden in refusing to sell any more arms to the Saudis. Such a step would also make British criticism of the Iranian regime seem less hypocritical. In the past, like many on the left, Corbyn naively gave support to ‘socialist’ regimes like that of Venezuela’s Chavez. While Chavez began to try to use Venezuela’s natural resources to help the poor, his party's rule has descended into authoritarianism and economic mismanagement. As so often with liberation movements, as Camus said, ‘the slave starts by demanding justice and ends by wanting to wear a crown.’ Corbyn should try to be more evenhanded when it comes to Venezuela and not ignore its government's authoritarian drift. Corbyn could head off criticism of his past statements on Venezuela by coming out strongly in support of the release of centre-right opposition leader Leopoldo Lopez, who has recently been sentenced to 14 years in jail in a closed-door kangaroo court. This makes the likelihood of fair parliamentary elections in Venezuela on December 6 more remote. Venezuela has rejected election observers from the Organisation of American States because it does not trust their political independence, but it has stated its openness to EU observers. Corbyn should note his concern with the political situation in Venezuela, call for the EU to send observers and make it clear that reducing inequality cannot come at the expense of basic political freedoms. On the other hand, he could certainly take a leaf out of the playbook of Uruguayan leftist party, Frente Amplio. Their former president and leftist guerrilla leader José Mujica lived a simple life, donating 90% of his salary to charity, legalised marijuana and abortion, and left office with an almost 70% approval rating. However, it is Mujica’s predecessor Tabaré Vázquez who united “communists, socialists, social democrats, social liberals, centrists and independents all under one banner – uniting the entire Left in a manner which, unfathomably, has still not been attempted in Britain”, according to Shaun Lawson. 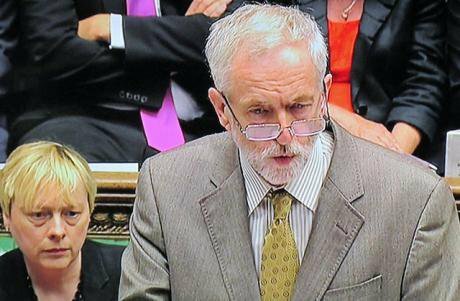 Russia is another potential weak point for Corbyn that could be turned to his advantage. Russia’s involvement in Syria and Ukraine is partly based on a sense of damaged Russian prestige. Last year, Obama gave a speech in Warsaw in which he described Russia as a ‘regional power’, much to the annoyance of Russian Foreign Minister Lavrov. Much like the British nationalistic right, Russian nationalists want to believe that they are still an important world power, despite the current state of near-collapse the Russian economy is in. This helps to explain the gamble Putin is taking to create a foothold on the Eastern Mediterranean in Syria. If you listen to Putin speaking, he harps on constantly about how the west should respect Russia. This needs to be taken into consideration when dealing with Russia, and it means that Corbyn would have more success by working with the EU to reach a deal with Russia over its withdrawal of forces from the Donbass region of Ukraine. It will be much harder for the US to broker this kind of deal, because of Russian mistrust and the feeling that the US does not respect them. Achieving a resolution to the Ukraine conflict through EU mediation within the next year could also strengthen the position of the pro-EU camp in the 2016 EU referendum by showing that it is through the EU that Britain can project its power and succeed in its foreign policy goals. Corbyn should emphasise the role the EU must play in responding to the refugee crisis. Likewise, there is space for an agreement with Russia on Syria which could lead to Assad stepping down; an offer which was apparently on the table back in 2012. The west desperately needs a united gameplan on Syria which takes account of the Russian support for Assad as well as the right to self-determination of the Kurdish region and the Sunni tribes in the East, who can no longer be expected to tolerate being ruled by the Baathist autocracy in control of Damascus and Latakia. The west is in exactly the same position as it was two years ago, being against Assad, but not really for any of the other groups that are fighting. Having a concise policy on this, while maintaining that Russia’s intervention is unhelpful and any agreement with Putin is borne out of necessity, would give Corbyn an advantage over the prevarications of British policy on Syria for the past few years. Above all, this is a chance to show that diplomacy can achieve what years of bombing can never hope to: peace. For more than a decade, the US has pursued a policy of containment towards Putin’s attempts at Russian re-assertiveness in its region. This policy has failed. Jingoistic sabre-rattling towards Russia can only destroy the possibility of making diplomatic breakthroughs on conflict resolution. Corbyn can show he is someone that can take a different approach towards Russia, but he must be careful not to allow the right-wing to paint him as a Putin sympathiser. One way to do this is by developing relations with Russian civil society. Activists and reformers in Russia are under threat from authoritarian new laws which are returning Russia to a Soviet system of political control, and many other Russians are considering emigrating. Corbyn should support the creation of special procedures for LGBT and other political activists to gain easier asylum in the UK, and take a principled stance on supporting reformers in Russia which the UK government has notably failed to do. In April 2015, Chechen political prisoner Zara Murtazalieva was refused entry to the UK because she did not declare a trumped up terrorism charge which resulted in her spending eight and a half years in a Russian penal colony. Corbyn should build strong links between the Labour Party and Russian civil society to show that he takes the creeping authoritarianism of Putin’s regime seriously, including loosening visa restrictions for Russian activists. Many wealthy Russians visit London every year, spending lavishly on property and luxury goods. The fact that many of these people made their money in Russia in dishonest ways is a moral failing of the UK government which Corbyn can exploit by pushing for the UK to host real human rights activists instead of corrupt oligarchs. With the Tories now claiming that human rights has ceased to be a top priority in their foreign policy agenda (something that many have been aware of for years), there is an opening for a British party leader to reframe the UK’s position in the world, from attempting to project hard power with arms sales and costly wars, to a diplomatic peacemaker attempting to calm tensions in a new multipolar world. Such a world, in which there are many rival imperial powers, is a more dangerous one than we have seen for years: one in which regional conflicts like Syria can escalate and draw in other states. This calls for a new, mature approach to conflict resolution which doesn’t necessarily involve bombing people we don’t like and expecting those we do to be able to form a stable government. Time and again, Corbyn has shown that he was right about his principled foreign policy stances, from his opposition to apartheid South Africa and the Iraq war to his support of dialogue with the IRA. Even some in the Conservative Party have given him credit for his human rights work. He has an unparalleled moral platform on which to speak, and an army of supporters behind him. If he can use this to change the debate about human rights to a more positive discussion, it will help Britain as a whole decide what kind of state it wants to be on the international scene. With Corbyn, ideas from the left which have gone out of fashion in political discourse since the Overton window moved during the Thatcher and Blair years are coming back into fashion. Corbyn has already helped change the terms of the debate, but the question now is whether he can win power in order to implement any of his policies, and this is something that will certainly be a lot harder to achieve. openDemocracyUK doesn’t have a billionaire proprietor telling us what to write - we rely on donations from readers like you. Please support us if you can.